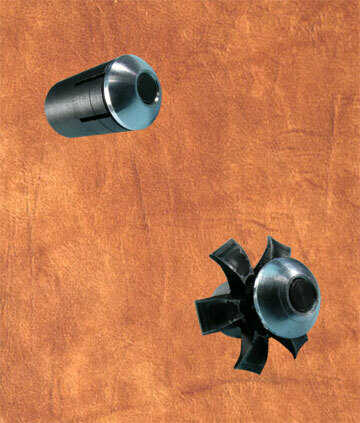 Note – This pellet is for use in Seneca/Sam Yang Dragon Claw .50 caliber big bore air rifles. It can also be used in other .50 cal. 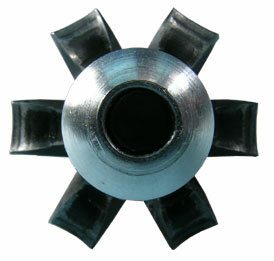 Air rifles with a .494/.495 bore diameter; HOWEVER, THE .80" OVERALL LENGTH OF THIS PELLET COULD BE A PROBLEM FOR SOME AIR RIFLES DUE TO THEIR LOADING PORT DESIGN, OR IF THEY HAVE A MAGAZINE THAT DOES NOT ALLOW A PELLET OF THIS LENGTH. We ONLY sell into the United States. Buyers must be at least 18 years old. It is up to YOU to know the laws in your state, county and city and to fully comply with them. The following are examples of some state and local restrictions. This list shows products that are prohibited in the locations indicated. When criteria must be met for ownership, those are also listed. Effective July 13, 2012: There is no velocity limit on airguns below .18 caliber, and airguns are no longer considered firearms by the state. Airguns over .18 caliber must still have a velocity of less than 700 fps.